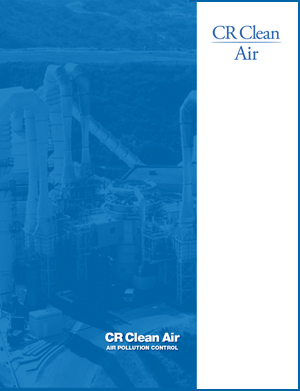 After investigating several alternatives, Fathauer turned to the Clean Air Group an air pollution control equipment and systems manufacturer that offered custom designs calculated to meet the desired service requirements. Mark Grossman, an applications engineer for the Clean Air Group, LLC suggested a system combining a venturi-type wet scrubber with a packed scrubbing tower. 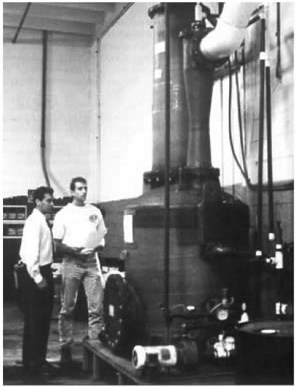 As designed for Allomatic’s process, Clean Air Group, LLC’s venturi scrubber removes approximately 90% of the hydrochloric acid from discharge, and a packed tower tailgas scrubber removes a high percentage of the remaining hydrochloric acid at its specific design conditions (efficiency can vary as capacity fluctuates).